That gorgeous quilt pattern you’re ready to start is made up of thousands of little pieces that will take HOURS to cut. Never fear, Power-Cutting will save you!!! Power cutting is a collection of clever methods of folding fabric and using a rotary cutter, developed by Debbie Caffrey. There are really only four important tools you need to purchase in order to power cut. I’ve included links to my favorite. (These are affiliate links) A 60 mm rotary cutter – Unlike the 45 mm cutter rotary that most of us have, the 60 mm rotary cutter safely cuts through more layers of fabric!!! I don’t know why I never thought of this myself!. Rotary cutting blades (60 mm). Your blades MUST stay sharp for this process to work. A 12 x 18 cutting mat, (This size is just the right size. 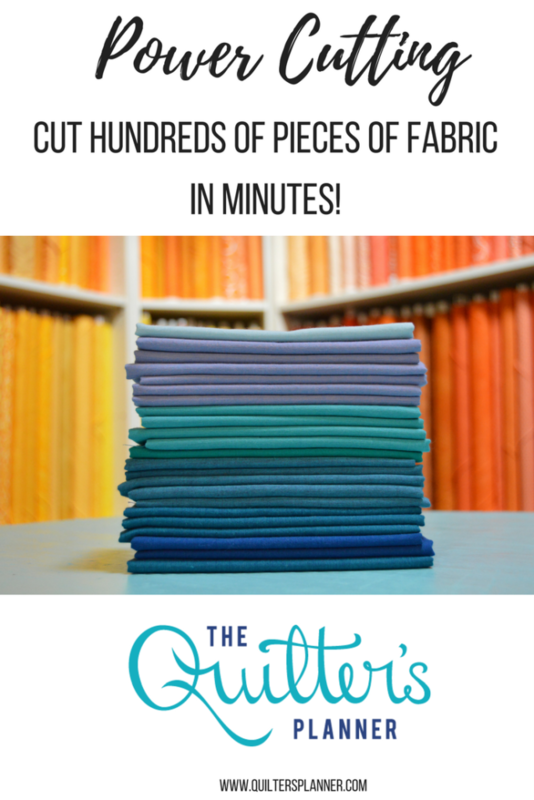 It’s not too big, and it’s easy to pick up and rotate during the cutting process so you don’t disturb the fabric you’ve carefully folded and cut). A square rotary cutting ruler (Creative Grids is my personal favorite because it has just the right grip on the fabric, and is the most clear and easy to read). If you’d like to see the genius way Nancy folds her fabric to get the most out of power cutting, check out this video. I hope you find these videos helpful! Now you’ll never fear that incredible quilt with 3000 pieces that you drooled over on Pinterest! *This post contains affiliate links. If you make a purchase using these links, I receive a small commission, at no cost to you. I choose the products I share with you, based on my own personal experience and opinions.